At our eCouncil meeting this month, we were really glad to welcome four new organisations as Associate Organisations of War Resisters' International. They are: Campaign Against Arms Trade (Britain), NESEHNUTÍ (Czech Republic), Şiddetsizlik egitim ve arastirma dernegi (Nonviolence Education and Research Centre, Turkey) and VD AMOK (the Netherlands). Three organisations already affiliated to WRI as Associate Organisations were also admitted as Sections of WRI. They are Alternatives to Violence Project, Nigeria; the Organization for Nonviolence and Development (South Sudan) and Žene u crnom (Women in Black Serbia). In Spain, members of MOC Valencia occupied the Russian consulate, hanging banners and dropping rubble in the floor, in protest at the ongoing bombardment of the eastern neighbourhoods of Aleppo. The activists were dressed in white overalls and helmets, in solidarity with the rescue teams in the city. The action was supported by activists outside, where more rubble was dumped. WRI has just held it's annual Council meeting - this year it was held online, and included several public 'webinars', with activists from across the network describing our work. All four webinars were recorded and are available to rewatch. Join us this November and stand against the militarisation of youth with many others from all around the world. Your voice, your nonviolent actions and events will contribute to our growing international movement! 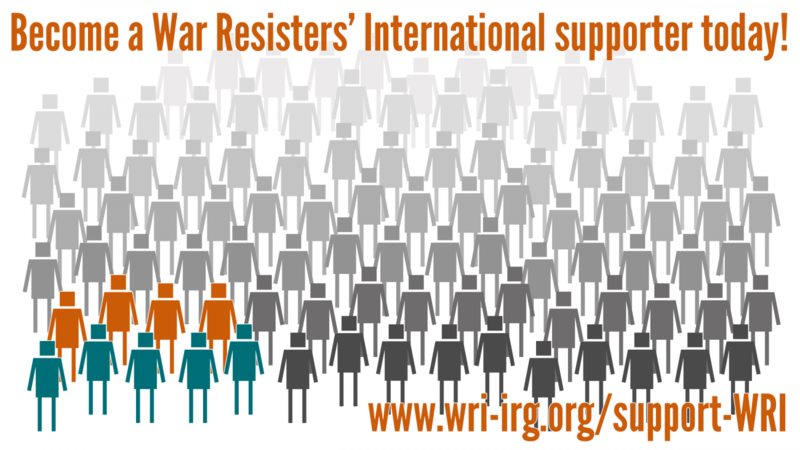 Read about what War Resisters' International have been up to in our annual report. News of our programmes, our campaigning work in Turkey, our publications and meetings, and a look towards the year ahead.